Kevin Garcia-Vazquez is an 11-year-old sixth-grader at Fairfield Woods Middle School who needs a liver transplant. I hate when I get those “GoFundMe” requests. I also hate it when I get requests to contribute online to a charity instead of buying one of my Facebook friends a birthday gift. I was not going to buy them a birthday gift to begin with, and now I feel doubly bad because not only am I not buying them a gift — I am also not kicking in any money for their pet charitable cause. Now I am going to do exactly what I hate. I’m going to donate to a GoFundMe request, and I am also going to try to persuade you to as well. A local family needs your money and possibly your liver. Let me explain. 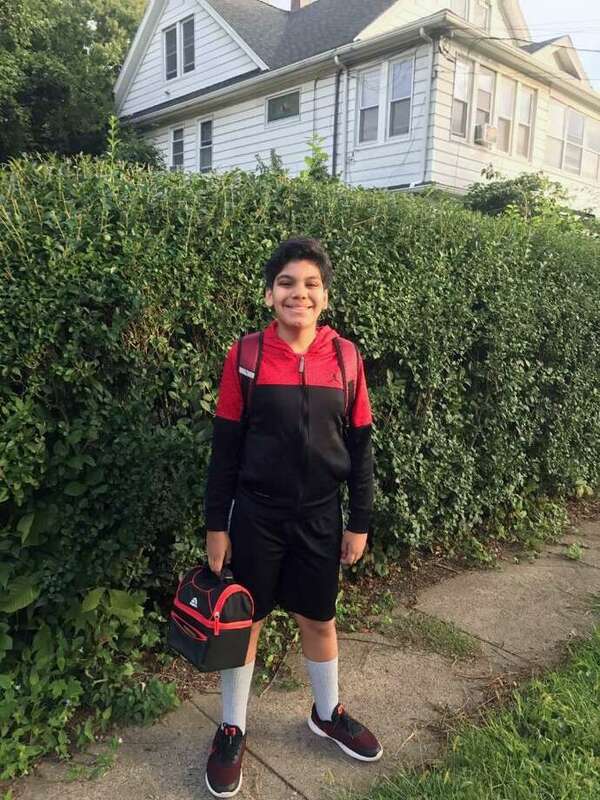 Kevin Garcia-Vazquez is an 11-year-old sixth-grader at Fairfield Woods Middle School. He loves playing soccer, the piano and video games. What separates him from most boys his age is he needs a liver that works. Right now he’s in the ICU ward at Yale New Haven Children’s Hospital suffering from acute liver failure. He needs an organ donor to save his life, and he needs it soon. We know the family well. Kevin’s older sister is a good friend of my daughter’s. We used to see Kevin all the time, at movie nights and Halloween. He got most of my younger daughter’s Legos when she outgrew them. The family is headed by a single mom who, while resilient in the best of times, is just holding on. These are not the best of times for this family. Kevin’s mother needs to be up at Yale by his side, so she cannot work. Therefore there is no money coming in for rent, electricity and groceries. Last week I looked into whether or not I could donate part of my liver to Kevin. I learned you don’t have to be dead to be a donor. Live donors can provide a portion of their own liver, which then regenerates quickly in both the recipient and the donor. So they would take a piece of my liver. My liver would grow back after a while and it would grow in Kevin. I had the right blood type. I stopped drinking about 25 years ago so my liver hopefully was in great shape. I called the Yale New Haven transplantation center and eventually talked to Lisa Hughes who, after taking down my medical history and evaluating it with her team, called me back the next day to say that I was not an ideal candidate. The transplantation center has brought up two sobering facts: 1. The wait for a liver from a deceased donor is long (Kevin is on this list). There are now almost 900 people awaiting a liver transplant in the area. 2. One in five people on the liver waiting list will die before an organ is available. I also found out that the donor process is not for the faint of heart. It is an open surgery and you will need a few weeks to recover. You need to be over 18, in good health and you should be under 50 for a children’s donation. But you can be up to 60 to give to an adult. There are a lot of other criteria but they don’t want you to self-evaluate. If you are interested in being a donor, please call the center to check. This is what they do. Kevin’s a funny, sparkling kid who loves cracking jokes and making everyone laugh. His laughter, the family says, which was once a constant presence is now rare, but is still there.